How Long Do Children Have to Use Car Seats in Minnesota? If you are visiting Minnesota with your family and plan on renting or driving a car, you need to know the car seat law. Minnesota state and federal laws both require babies and small children ride in car seats. In Minnesota, all babies under 1-year-old and all children less than 20 pounds in weight must ride in a rear-facing infant or convertible car seat in the back seat of the car. After a baby's first birthday and when the baby weighs more than 20 pounds, he or she must ride in a car seat or booster until his or her eighth birthday or are 4-foot-9-inches or taller. The law is the minimum standard for child safety, but you can keep your child in a car seat or booster longer, depending on your child and your parenting beliefs. In addition, the American Academy of Pediatrics provides car seat safety recommendations to improve the safety of babies and children in cars. 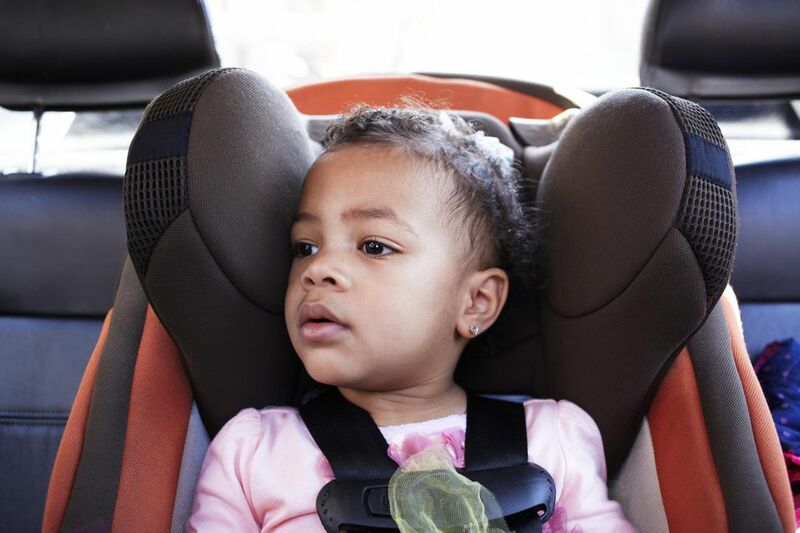 The AAP recommends that babies and toddlers ride rear-facing in a suitable seat for as long as possible until the child reaches the upper height or weight limit for the seat. Then, the Academy recommends that toddlers and preschoolers ride in a car seat with a five-point harness as long as possible. Once a child has outgrown his or her child seat, the Academy recommends that he or she rides in a booster seat until the child is big enough for adult seat belts to fit properly. The academy recommends booster seats for all children under 4-foot-9 and that booster seats be used until the child is somewhere between 8 and 12 years of age. Some rental car companies offer booster seats or car seats that you can rent with your car. But if you want to be extra careful, have a specific car seat you prefer or want to keep the seat as familiar as possible to your child, you can travel with one. All airlines allow you to check your car seat in oversized luggage for free. You can also check your child's stroller for no additional fee. Keep your child's car seat protected by putting it inside an oversized duffel bag. This protects it from stains, tears or lost parts and assures it will arrive safely. If you don't have a duffel bag big enough, you can also use a thick plastic bag designed for air travel. Tuck all straps and parts tightly inside. You may even want to tape them down. When it comes to traveling with car seats, look for a smaller, most compact version, if possible. Some brands are small enough to carry on board, which can save time waiting for the oversized luggage to roll out. Plus, a smaller car seat is more likely to fit in a rental car; some of those can be quite compact and not have comfortable space for a bulkier seat. Minnesota doesn't have a specific law against children riding in the front seat, although it's considered the safest to keep kids in the back seat until at least age 13.